The WWU Family Connection newsletter is a monthly e-newsletter sent to all families throughout the year, produced by Western's Office of Communications and Marketing and New Student Services/Family Outreach. Did someone forward you this edition of the Family Connection Newsletter? Sign up here if you would like to receive your own copy of the Family Connection Newsletter each month. Add WWU events, dates and deadlines to your own calendar: Event listings in Western's online calendar offer an "Add to my calendar" feature to download the event information in an .ics file, which works with most standard calendar apps. Open the .ics file and the event will automatically be added to your calendar on your phone or computer desktop. All students are invited to the All-Campus Student Scholarship Workshop Thursday, March 7. Students can connect with our on-campus partners for information on applying for scholarships, crafting their resume, writing scholarships essays, and more! The workshop will be Thursday, March 7, 3:30-4:45 p.m., VU 565. Students are also invited to complete their "Passport to Scholarship Success" to build their scholarship skills and earn a chance to win a 2019-20 scholarship for $500 from Western. Currently enrolled WWU students can pick up their Passport at the Scholarship Center (Old Main 285) or print one from the Scholarship Center's website. Students must complete at least 6 out of the 9 activities and turn in their Passport to the WWU Scholarship Center by 4 p.m. April 12 in Old Main 285 for a chance to win. Click here to view our Global Learning Faculty-led Programs for summer quarter And search for all programs here. The WWU Education Abroad office looks forward to working with your students on their international plans. ODESZA and Death Cab for Cutie have announced Double Major, a co-headline benefit show at Civic Stadium at 6 p.m. on Saturday, May 18. The show is a homecoming for both bands, having formed in Bellingham when their members were students of Western Washington University. In appreciation for the school and the city of Bellingham, net proceeds from the show will be donated to WWU’s Alumni Association Scholarship Endowment. Learn more about the concert and ticket sales at doublemajorbellingham.com. This is the time of year many students are looking for off-campus rentals for the upcoming school year. Moving off campus can be exciting, but also daunting, so tips and advice from parents and guardians can be helpful. Start Now: Pre-leasing for fall usually starts in March and can be competitive. Starting early will give your student a chance to look at multiple places before they pick one. Money: Off campus living has a lot of hidden costs that your student may not be aware of, like home furnishings, bills, and extra transportation costs to get to campus. Help them create a budget that will set them up for success and less stress! Roommates: A good roommate not only is a fun person to spend time with but someone who will pay their bills, clean the kitchen and respect the rules of your home. Talk to your student about setting boundaries and house rules on cleaning, socializing and quiet hours with their roommates before they move in together. Choosing a Place: Apartments and houses come with different perks and responsibilities. Houses have more expensive utilities, require lawn care and responsibility to bring out the garbage and recycling, but they have a yard and lots of room. Apartment living is less responsibility, but you have to be much more quiet in an apartment. Help your student decide what level of responsibility they are ready for and what fits their lifestyle the best. Read the Lease: Reading a lease is worth your time. Many landlords require that all parties go on one lease which means that if you are a co-signer you may be held responsible not just for your student’s costs but costs for everyone on the lease in the case that someone cannot pay. Many leases also have rules and regulations about quiet hours, pets, garbage and responsibility for lawn care so make sure your student understands their responsibilities. Rental Registration and Inspection: Make sure that the property your student selects is safe to live in by ensuring that it has been registered with the Bellingham Rental Registration and Safety Inspection Program. Landlords are required to post a certificate of registration in their units or put it in with their leases. Be a Good Neighbor: Encourage your student to be a good neighbor by introducing themselves to their neighbors, leaving parking spaces for their neighbors on the street, ensuring their garbage doesn’t fall over and blow into their yard and let them know if they are having a party. Still have more questions? The Off Campus Living website is a great resource for students needing practical guidance about living off campus and for parents who might want to read up about co-signing leases and landlord-tenant laws. Click here to learn more about mailing to University Residences. Western's New Student Services and Family Outreach office is looking for a Family Outreach Manager who will play an integral role in supporting the transition of new WWU families to the university community. LGBTQ+ Western’s website includes lots of information that may be of interest to families of LGBTQ+ students. The Lifelong Learning page includes written resources such as publications from PFLAG about supporting loved ones who come out as LGBTQ+, the Trevor Project’s guide “Coming Out as You!,” and resources about Black LGBTQ+ history for Black History Month. Students, parents, and families are encouraged to sign up for the LGBTQ+ Western email list on the website. University students are always excited for spring break, whether they're heading home for a week or on an out-of-town adventure. Parents and families, on the other hand, might be experiencing a wider spectrum of emotions. Maybe you are excited to have your student home, but worried they might get bored. You also may have concerns about their out-of-town destinations, but want them to have a fun, independent experience. Or potentially you are feeling sad that they won’t be making it home for this break. But, no matter the particulars you probably want to connect with your student and be updated about their world. Here are some light-hearted, engaging topics and questions to bring up with your Western student to help stay connected and in the know. Who did you spend the most time with this quarter? What is the most interesting thing that happened this quarter? Where is the best place to eat in Bellingham and what’s your favorite food there? Why are you most grateful for spring break? How does a normal day look like for you? And what do you wish you could add to your day? Click here to learn all about the ceremony, tickets, parking, and where to see it online. Remind your student to check their WWU email regularly for commencement updates and reminders. 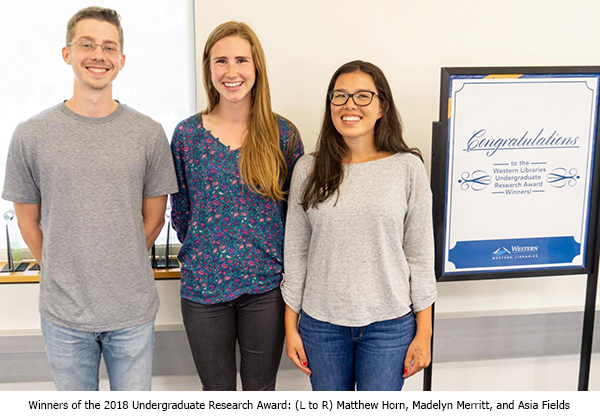 Western Libraries Undergraduate Research Award: Awarded to students who demonstrate outstanding library research in the writing of papers for courses at Western. Each Undergraduate Research Award winner receives $500 and publication in Western CEDAR, Western’s institutional repository. Click here to learn more. Peer Health Educators: Prevention and Wellness Services is recruiting Peer Health Educators for next academic year. The PHE program is a professional-development volunteer opportunity for Western students of all identities who are interested in promoting wellness, gaining new skills, and getting more involved on campus. The application deadline is Friday, March 8. Students can learn more about the program and apply online at pws.wwu.edu/apply. 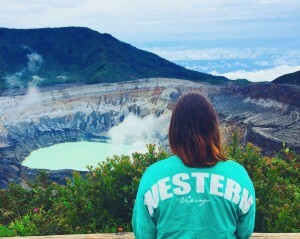 WWU funding for student research: Twice a year, Western's office of Research and Sponsored Programs provides funding for undergraduate research projects. The next deadline is March 11. Click here to learn more. Western welcomes your child to participate in spring Youth Programs. Offerings include Computer Science Club (Exploring AI in Minecraft), Kids Night Out @ Western (What's in Bellingham Bay?) and GEMS Academy. Visit wwu.edu/youth to learn more. Western Today is WWU's daily news source. Visit at westerntoday.wwu.edu or click here to have it delivered to your in-box.